Camren Bicondova Photos, News, and Videos | Just Jared Jr.
Cameron Monaghan look super sharp in his blue suit while arriving for the FOX TCA All-Star Party on Wednesday night (February 6) in Pasadena, Calif. 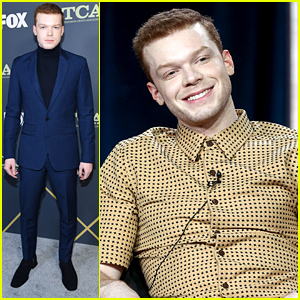 The 25-year-old actor was joined by his Gotham co-stars Camren Bicondova and David Mazouz as they promoted the final season of the Fox series. Just a few days before, it was announced that Cameron would be returning to Showtime’s Shameless, just months after what was said to be his final episode. “It got to the point where I wanted to step away for creative reasons as well as business, which many other actors had done on the show years earlier,” Cameron shared about his initial exit. But now, he’s ready to come back. Gigi Hadid shows off a little leg inside the Maybelline New York x V Magazine Party held at the Nomo Soho Hotel on Saturday night (February 11) in New York City. The 22-year-old model was joined inside the bash by Victoria Justice, Madison Reed, Larsen Thompson and Camren Bicondova. Keke Palmer is also pictured below at the Chromat and Cushnie Et Ochs shows. Just before the stepping out for the party, Gigi hit back at some online haters who were critiquing the way her body looked. “For those of you so determined to come up w why my body has changed over the years, you may not know that when I started @ 17 I was not yet diagnosed w/Hashimoto’s disease; those of u who called me ‘too big for the industry’ were seeing inflammation & water retention due to that,” she wrote in her first tweet. (cont) am still learning and growing with my body everyday, as everyone is. The Gotham cast is hard at work on season four! 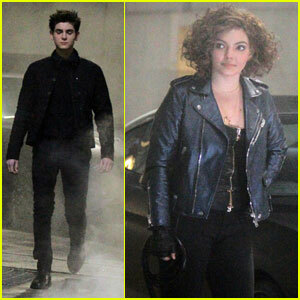 The cast – including David Mazouz, Jessica Lucas and Camren Bicondova – were spotted on the show’s set on Friday (February 9) in New York City. 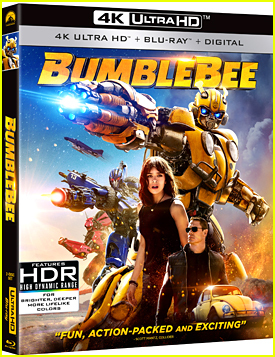 During the nighttime shoot, the cast mates were seen as they filmed in a dark alley alongside the Batmobile! Later that day, David took to his Instagram to share a photo from the set, taken by Cameren. The new season of Gotham starts airing on March 1st. Jordyn Woods gets behind the booth during her meet and greet event at Addition Elle’s Pop Up Shop on Wednesday (September 13) in New York City. The model and designer recently chatted with E! News about her collection, Love & Legend, with the fashion brand. “The inspo is really based on me and the ’90s,” Jordyn says. Later on, Jordyn is also pictured at OK! Magazine’s 2017 Fall Fashion Week party with Gotham star Camren Bicondova and Laurie Hernandez. Shay Mitchell went all out with her super curly hair during New York Fashion Week on Monday (September 11). 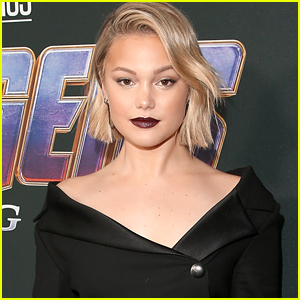 The You actress channeled her inner disco queen in a golden jumpsuit for the Anna Sui fashion show, which singer Tegan Marie was also at. Landry Bender was also seen out last night at the Hakan Akkaya fashion show, while Aidan Alexander was spotted at the Zadig & Voltaire show. Ashley Benson & Shay Mitchell Have 'Pretty Little Liars' Reunion at Star-Studded 29Rooms Event! Ashley Benson and Shay Mitchell met up at the Refinery29 Third Annual 29Rooms: Turn It Into Art event! Tons of stars stepped out for the annual event, which was held during New York Fashion Week on Thursday (September 7) in Brooklyn, N.Y. The Pretty Little Liars alums were joined by Bella Thorne, Emma Roberts, Chloe Bennet, Corinne Foxx, Paris Jackson, Rachel Crow, Tommy Dorfman, Camren Bicondova, and Crystal Reed. 29Rooms is an interactive funhouse of style, culture, and technology, brought to life by a group of global artists and visionaries across mediums, and powered by you. Also pictured inside: Lucy Liu and co-founder and executive creative director of Refinery29 Piera Gelardi. FYI: Emma is wearing a Victoria Beckham top, Re/Done jeans, Loriblu shoes, and an Olympia Le-Tan purse. Ashley is wearing a Brunello Cucinelli shirt and Bulgari jewelry. Crystal is wearing Aldo shoes and an Elizabeth and James bag.